He settled on primroses in the late 1970s, and using a gene pool of about twenty old, old Irish cultivars, he gradually produced his own distinct lines of Kennedy primulas. He didn’t sell them, and didn’t look for publicity for them. He mounted spectacular displays at flower shows, where they were seen (and much admired) by other gardeners. But, because of the specialist nature of such events, only a few hundred people would see his plants per year. His cultivars got more and more refined as the years passed — and they continue to do so, as he is still working on them. Of the thousands that he raises annually, he keeps a hundred or so possibles, casting the others onto the compost heap. 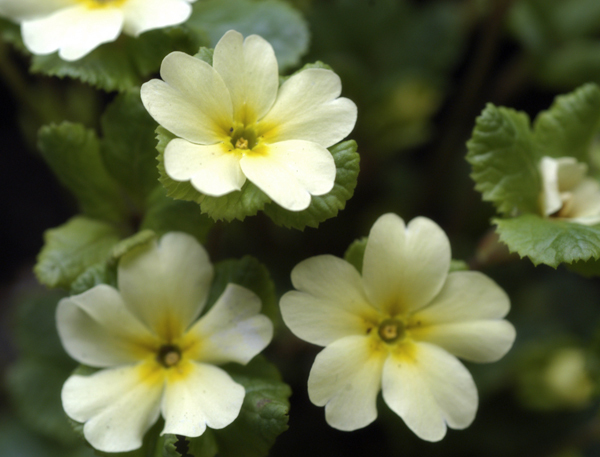 Then, about five years ago, Pat FitzGerald of FitzGerald Nurseries contacted Joe, and offered to bring his primroses to the public. After a rigorous selection process, two were chosen to be launched this year: ‘Drumcliff’ and ‘Innisfree’. More will be released in 2013: the 50th anniversary of President Kennedy’s visit to Ireland. It’s not that Joe Kennedy is related to JFK (that I know of), but Pat FitzGerald has a grand nose for a marketing opportunity. And this one is too good to be missed — especially since the primroses bring the Kennedy and FitzGerald names together in a useful coincidence. And, God bless Pat FitzGerald, sure didn’t he manage to bring Yeats into the mix as well, with the names of this year’s introductions. ‘Innisfree’, as you know, is the lake isle where the poet would “arise and go now”, while ‘Drumcliff’ honours the Sligo village where his mortal remains are laid to rest. But, believe me, these little touches will make the primroses more marketable in the United States, which is where Pat FitzGerald is right now — with the aforementioned beauteous Kennedy cultivars. After being launched at the Philadelphia Flower Show, they will be available as plants from Burpee, I believe. When I get more details on that, I’ll post them here. In the meantime, if you’re Irish, you can buy them from the following garden centres. If you are travelling far, do phone first, just to make sure they’re still in stock. It’s great to see Irish plant cultivars being marketed in such a worldwide way. I purchased some of the plants at Johnstown Garden Centre last weekend. One seedling which Joe discarded many years ago he passed to Gordon Toner and Gordon named it after his wife – ‘Dark Rosaleen’. It is one I have enjoyed for many years. Pat Fitzgerald is coming to collect some this morning. Paddy, thanks for the story about ‘Dark Rosaleen’. I knew about the cultivar, but I hadn’t heard the background. Permaculture Blog: yes! It is a great story. It is wonderful that all of Joe’s years of meticulous work are being given international exposure by Pat FitzGerald. 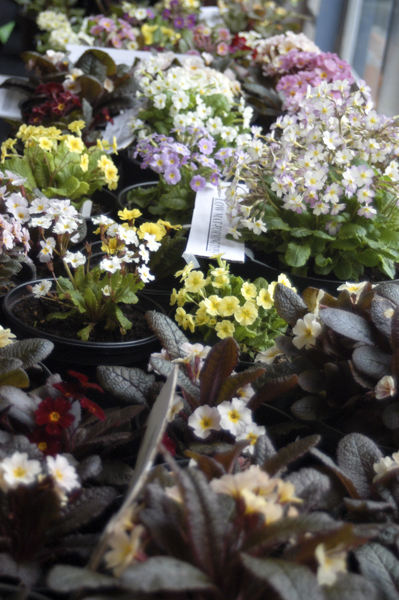 And delighted to say that we have a small number of primrose ‘Innisfree’ in stock at The Secret Garden centre. The 5,500 of each of the two primulas produced for the Irish market were snapped up and sold like hot cakes. Of the two new varieties of Irish/Kennedy primulas launched this year – 50,000 of each are being supplied to the USA where they are proving extremely popular. Orders are also in from Japan – imagine Irish primulas in Japan, the mind boggles a little. 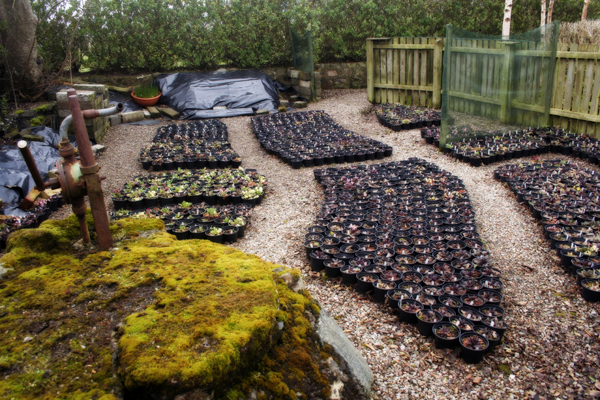 Great work by Pat Fitzgerald – Fitzgerald Nurseries. Brian, I’ve added you to the list. Paddy, it’s great to have something so positive and gorgeous coming out of Ireland. You are currently reading Primrose-tinted Spectacle at One Bean Row.